Burnham Library Architecture Club Catalog 1897 ? 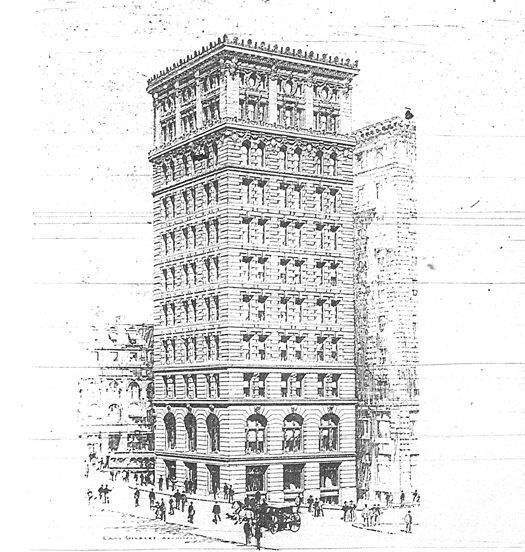 The original Brazer Building—a three-story granite structure—was known as the "Gem of State Street." It was located at the corner of Devonshire Street, across from the Old State House, on the site of the first Boston meeting house. The Brazer Building Trust was formed to raze the existing building and erect a new building on the site. Gilbert, through his Boston connections, was hired for the job. 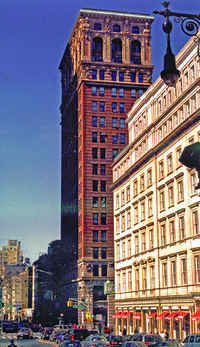 During the planning for the Brazer Building, there was concern that the City of Boston was preparing to limit the allowable height of buildings. The unusual site of the Brazer Building, on an irregular lot with streets and alleys on all four sides, makes it highly visible from different perspectives, a feature that significantly complicated its design. Built on a small site, Gilbert did not have the luxury to do much more with his design than maximize the square footage on each floor. As he had done with the Minnesota State Capitol, Gilbert hired an expert for the Brazer Building. The expert was Louis E. Ritter an engineer he "borrowed" from William Le Baron Jenny in Chicago to examine the findings of the contractor's engineer. 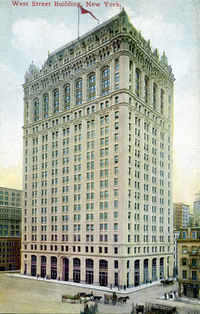 Gilbert recognized that in 1896, Chicago architects and engineers still led the country in the design of tall buildings.